More than twenty years ago Lely introduced the very first milking robot worldwide: the Lely Astronaut. Since this time Lely have been improving on their system in numerous ways, however the Astronaut offered today is still based on the same proven ideas. The Lely Astronaut improves farmers quality of life while safeguarding optimum animal welfare and return on investment. Lely customers also benefit from a unique set of management instructions for monitoring milk quality and the feed/milk conversion ratio for the individual cow or the complete herd. 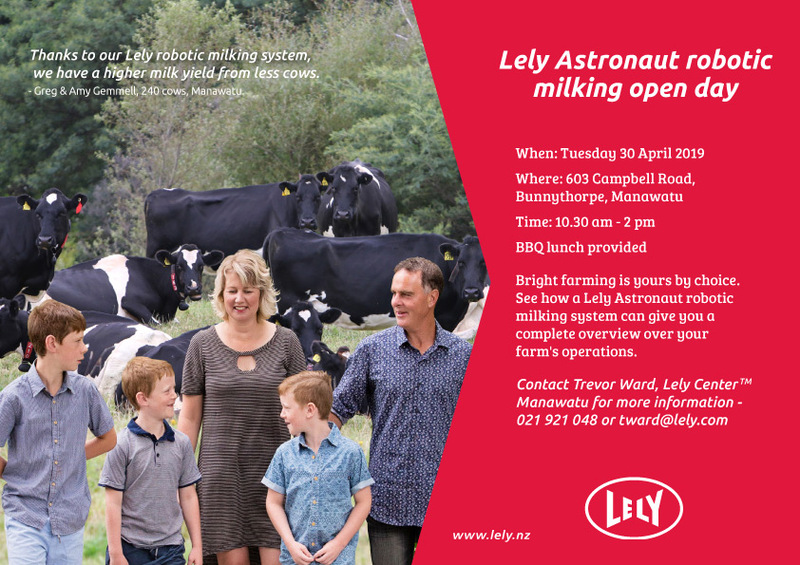 In 2008, Lely installed ‘the first Astronaut A3 milking robots in Canterbury and Southland. Now Lely has 20 operating robotic farms within New Zealand and that number is ever-increasing. With a nationwide network of service locations, knowledgeable and experienced staff, plus a wide dealer network you can rest-assured Lely New Zealand have the team to service your on-farm needs. Bromley Dairy and Pumps have aligned themselves with Lely as they believe Lely provides both a top quality product and service – a real game changer for dairy farmers. They’ve also seen first-hand how the Lely robotic milking system eliminates the stress of dairying. Compare the Cost Of Lely Astronaut Robotic Milking System against your current System.